We are offering 4 Bedrooms. 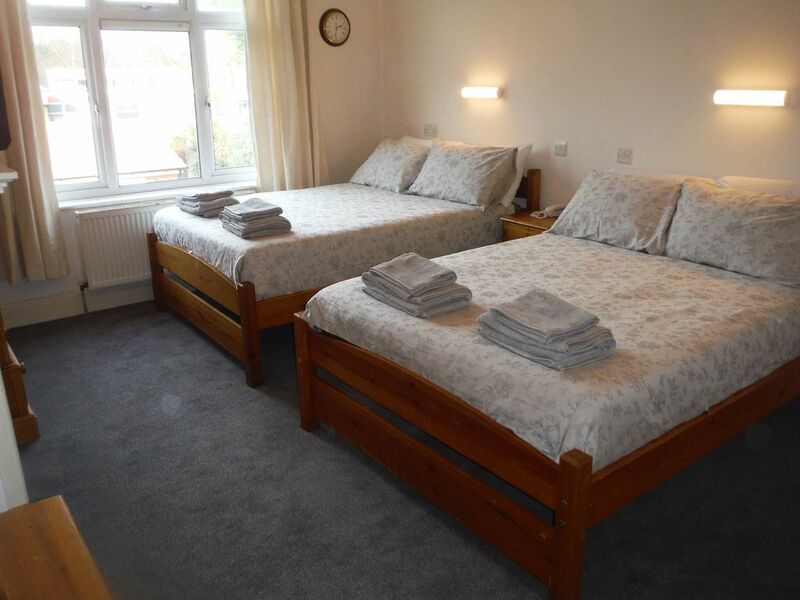 Two with double beds and two with 2 x double beds, which could sleep up to 12 + people. We are literally a 3 min. walk away from Snaresbrook Central Line Underground Station, which gives you direct access to all of London's tourist attractions, with the City only 15 min. ride away for example. We offer large, spacious bright rooms with pleasant views in a respectable middle class area. This is a deaf friendly house. Breakfast is served in the main kitchen downstairs between the hours of 8am till 10am. This includes: Tea/Coffee, Juice, Cereals, Toast, Etc. There is also a kitchenette, which has a fridge, microwave, toaster and kettle, which guests are welcome to use anytime. Washing machine and ironing fascilities available. Although smoking is not allowed inside the house, guests are welcome to smoke at the front seated garden area whenever they like. Access to the 2 bathrooms both with bath and shower and wc facilities are available at all times. Un accueil chaleureux dans une agréable maison, lumineuse et calme. Nous avons tout d'abord été séduits par les chambres agréables et lumineuses dans cette maison dans un quartier calme et tranquille. Marina, notre hotesse, nous a très bien accueillis, et s'est montrée très chaleureuse envers nous. Elle a su repondre à nos demandes avec gentillesse discrétion et efficacité. Merci Marina! Un pied à terre familial et convivial pour visiter Londres... je recommande! Diane and her group of students were great guests. They were very respectful of our house rules and they would be always welcome here.